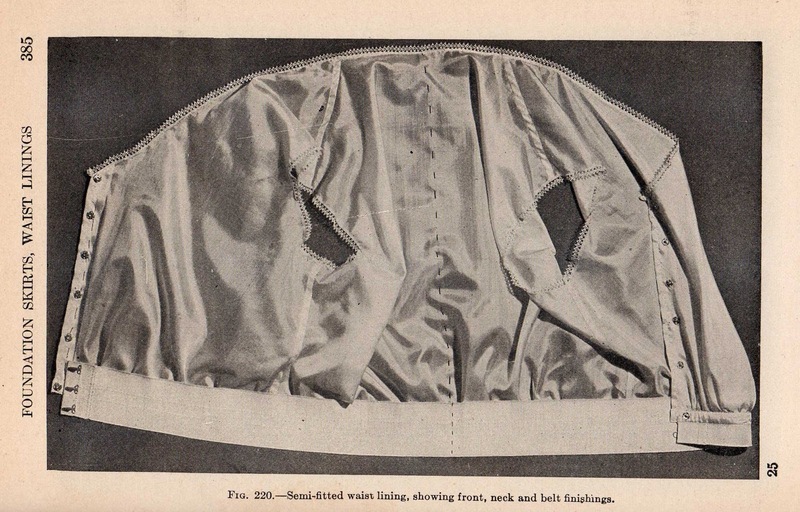 In reading about the use of foundation linings in the 1920s, such as the camisole lining (also called a bodice lining), the built-up lining (also called a plain-waist lining), and the close-fitting lining, there is a consistent mention of "attaching a skirt to the lining". This is particularly in the case of two-piece dresses which have tops of the overblouse style or a bloused effect, and where skirts (since they frequently rest at the hips or below) need a foundation of some kind to keep them in place. Here is an image of a skirt attached to a long-waisted camisole lining, with blouse removed. This was common because so many of the popular blouses and sweaters were of the overblouse type. Attaching the skirt to a lining provided a nice straight line. It was considered smart (especially if the skirt was not of a washable fabric) to have the lining made so that it could be removed and washed. Snaps on the bottom of the lining and the band of the skirt was a recommended method. Hooks-and-eyes were also a popular method. These methods allowed the lining to be removed and replaced with a minimum of effort. Often the foundation lining would be made in a similar color or trimmed with lace so that the overblouse could be sheer, or so that an overblouse could even be omitted when worn under a sweater. 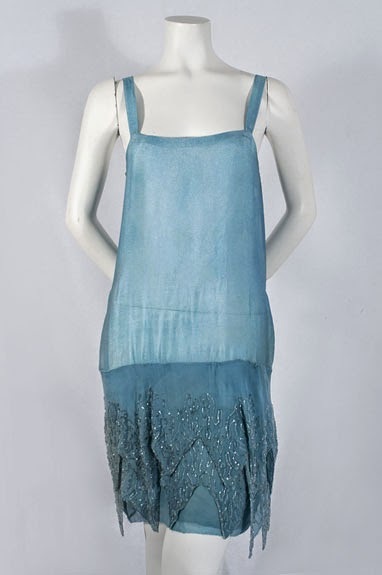 Very often a pattern for a camisole lining was included with the pattern for the dress with which it was to be used. The lining can be easily cut without a pattern, however. 1920s "sports skirts" with the blouse worn "bloused"
Several years ago, The Vintage Dressmaker blogged about 1920s clothing construction and included a discussion of the foundation linings. My thanks to her for the following three images, which are from her most informative post. 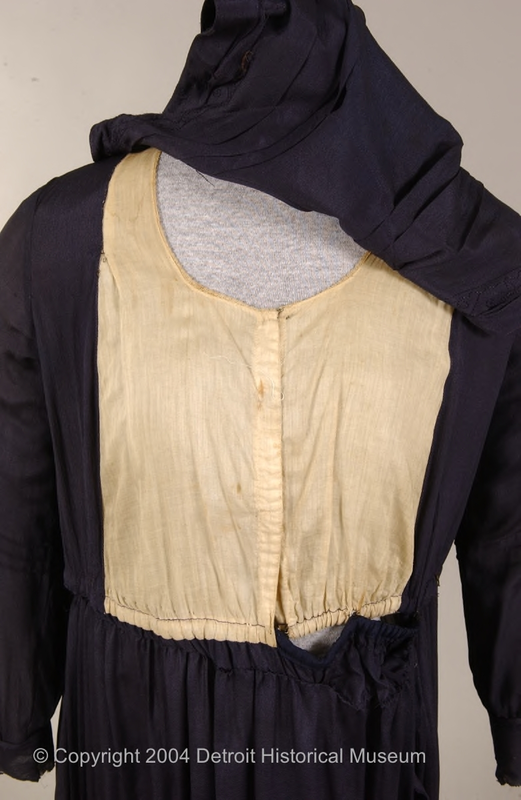 The same dress with the blouse removed, showing a drop-waist camisole lining with the skirt attached. This image is a built-up foundation waist lining with front closing. 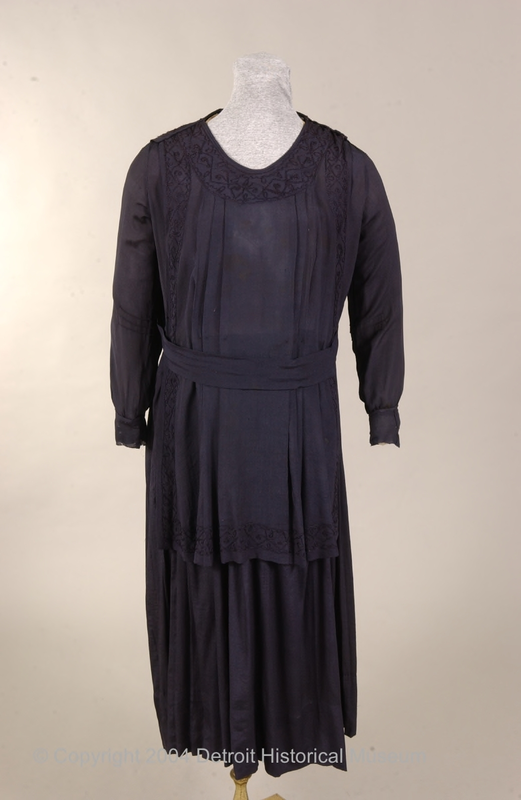 In her post, the Vintage Dressmaker links to the Detroit Historical Museum website (source for the following two images) as a further resource for examples of foundation linings. When you remove the blouse of the two-piece dress (above), the built-up waist foundation lining is revealed. 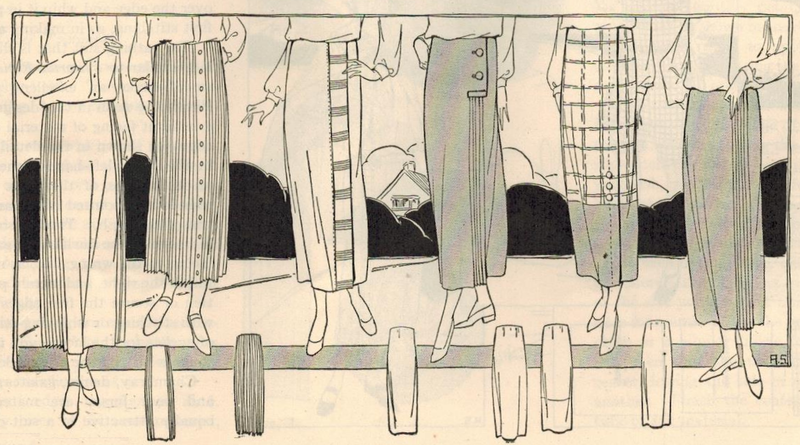 Note how the skirt is attached with hooks-and-eyes to the built-up waist lining. 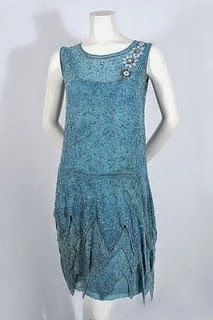 Mysteries of 1920s foundation garments revealed! :) A major improvement over corsets, don't you think?